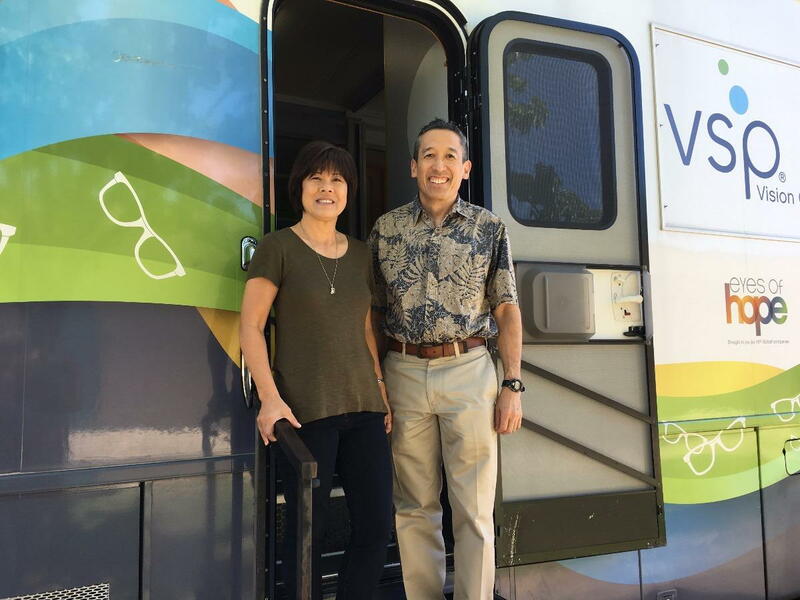 Doctors Kageyama and Tamai, teamed with VSP to provide eye exams at La Familia's Dia del Nino Celebration on April 29, 2017. The VSP Mobil Eye is a deluxe clinic that is staffed by VSP employees who volunteer their time to provide help provide eye care to community. La Familia Counseling Center, Inc. (La Familia) provides multicultural counseling, outreach and support services to low income, at-risk youth and families in Sacramento County.